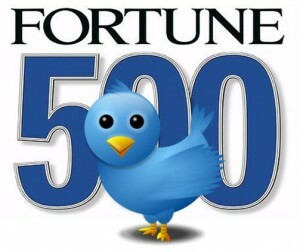 Did you see the news that twitter is the number one social network of choice among the Fortune 500? All of the Fortune top 10 and 62 percent of the Fortune 500 companies are on twitter. As the article states they no doubt love twitter’s openness and simplicity. Facebook comes in a close second. It is used by 58 percent of the Fortune 500. As you know if you saw my video last week, I’m in agreement with the big guns when it comes to the power of twitter when building a brand. My good online friend Maria Peagler was kind enough to invite me to guest teach during the twitter portion of her Social Media Online Classes. In the second of our four part series, I discuss what a retweet is and when to use the “RT.” I actually cut this video before all of the recent discussion about journalists re-tweeting, the A.P.’s recent ruling on RTs and whether or not an RT implies consent. In my opinion a re-tweet is definitely implied consent! Great point, Mary Ellen. The implied consent thing is something I’ve heard no one talk about. Thanks Sue. Yes, it’s a fascinating topic right now. Great post. I am not too savy with the tweeting but I can see the impolications of implied endorsement”. thanks for the post. Yes, Bill. Interesting subject indeed! Wonderful advice. Thanks for keeping us fed with very good educational info to make us more savvy online! I hadn’t really thought about this issue before, but this is wonderful advice to make sure you really can silently endorse what you are retweeting! Great advice–something to always keep in mind. And you might want to also use a #affiliate, #af link hashtag or something similar when you’re posting affiliate links so people know you’re an affiliate. Just to keep the FTC happy. That’s very informative Tiffany! I am not involved in an affiliate program so I appreciate the input on that. Thanks!